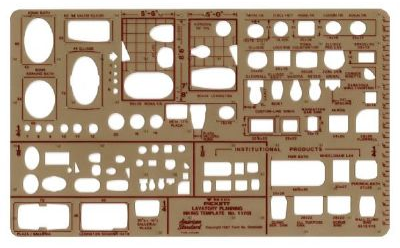 Drafting template, clearish brown plastic hue contains standard lavatory fixture symbols. Scale: 1/8" and 1/4"=1'. Size: 5 7/8" x 9 3/4" x .030".